A costal cosmopolitan city, Sydney offers the natural beauty of the beaches and wildlife reserves with great shopping and restaurants amidst the iconic harbour and Opera House. Rent a car from Sydney Airport to make the most of your trip. Port Jackson is better known as Sydney Harbour; a regular first stop for any tourist visiting the city just 15km from Sydney Airport. An impressive gateway to the city, famously known for the Opera House and Harbour Bridge and is also home to cliff top houses, parklands, secluded coves, Taronga Zoo and the historic Rocks area. Hiring a car is the perfect way to take in the sights at your leisure. There are many harbour cruises available to add to your experience of the warm climate, aqua waters. Drive north of the city and discover the popular beach resorts of Manly (20km) and Bondi Beach (10km). Manly offers many attractions for all the family, Ocean World is a sea life centre home to huge sharks, turtles, sea rays, and tropical fish. Visitors can watch the sharks and fish being feed, and for the more adventurous take the plunge with the Shark Dive Xtreme! Children can take part in the Snorkel Safari. There are many companies in Manly that offer sailing, wind surfing, and surfing lessons; take the opportunity to learn something new and enjoy the beautiful coastline. With over 20km of dedicated bicycle tracks, the best way to explore the coastal town is to hire a bike. From May to September is the season to sail out for whale watching, there are many tours available from Manly. Drive to the famous Bondi Beach with a style all of its own, the promenade is a favourite for joggers and rollerbladers, while Campbell Parade is known for fine dining. The area offers something for all, from surfer to millionaires there is a wide choice. Make the most of your time in Sydney with a drive up north to the Blue Mountains (120km), one million hectares of tall forest, sandstone cliffs, canyons, waterfalls, and bush land. Go bush walking, mountain biking rock climbing to see the amazing views from the Blue Mountains. There are also natural attractions to see such as Wentworth Falls and the Three Sisters a trio of rocky pinnacles, the name comes from Aboriginal Legend. Visit the Jenolan Caves and explore the underground rivers. The surrounding area is covered in Eucalypt Forest and home to luxury retreats and a great selection of restaurants. Need automatic car hire at Sydney Airport? Complete our quick booking engine above and we’ll scan the car hire market and give you the best deals on the web. Whether you require an automatic economy car, automatic compact car, standard automatic or 7 seater automatic we can get you great airport deals. Are you looking for 7-8 seater Car Hire Sydney Airport? Look no further Easirent have you covered. 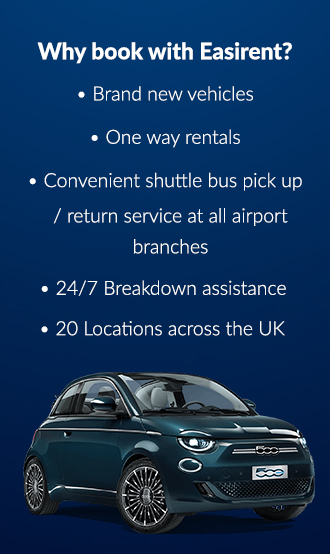 Easirent will give you great rates on 7-8 seater vehicles. These vehicles are especially popular as they allow you extra space for the whole family (or the option of having that extra space for suitcases or other items). Simply enter your dates in the booking engine and we will instantly quote you for your 7-8 seater car hire at Sydney Airport. Easirent make it easy, simply enter your dates in the booking engine and we will instantly quote you for Self Drive Sydney Airport. Need to hire an executive or luxury vehicle at Sydney Airport? Vehicles in this category range from Volvo’s, BMW’s to Mercedes Benz. With Easirent it’s simple and easy to book, simply enter your dates into the booking engine and we will instantly quote you for Executive Car Hire Sydney Airport.